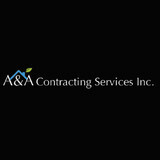 A&A Contracting Services Inc is a pressure washing contractor serving the Spring Valley, CA area since 1989. Services include Pressure Washing, Algae Removal, Awning Cleaning, Commercial Pressure Washing, Commercial Window Cleaning, Concrete Cleaning, Deck & Fence Cleaning, Graffiti Removal, Paver Cleaning, Paver Sealing, Pool Deck & Patio Cleaning, Residential Pressure Washing, Roof Washing, Rust Removal, Solar Panel Cleaning and Window Cleaning. Serving towns of Aguanga, Alpine, Bonita, Bonsall, Bostonia, Boulevard, Camp Pendleton, Campo, Cardiff, Cardiff by the Sea, Carlsbad, Chula Vista, Coronado, Crest, Del Mar, Descanso, Dulzura, El Cajon, Encinitas, Escondido, Fallbrook, Guatay, Holcomb Village, Imperial Beach, Jamul, Julian, La Jolla, La Mesa, Lake San Marcos, Lakeside, Lemon Grove, Leucadia, Lincoln Acres, Mount Laguna, National City, Nestor, Ocean Beach, Oceanside, Olivenhain, Pacific Beach, Pala, Palomar Mountain, Pauma Valley, Pine Valley, Potrero, Poway, Rainbow, Ramona, Ranchita, Rancho Bernardo, Rancho Santa Fe, San Diego, San Luis Rey, San Marcos, San Ysidro, Santa Ysabel, Santee, Solana Beach, Spring Valley, Tecate, Valley Center, Vista and Warner Springs. 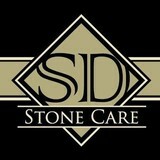 San Diego Stone Care is a care and maintenance company dedicated to offering quality services to preserve natural stone investments. We provide stone & tile restoration services, products, educational classes and training. In addition, we offer consultations prior to and after the design of all types of natural stone installations. Every company says it's the finest, and Baja Stone Care is no different; except what we deliver is truly unique, dedication. We are dedicated to bring you the finest finish possible, with an emphasis on clean, professional service. "After many years spent perfecting my skills in natural stone finishes, it was time to put those skills to work for myself. 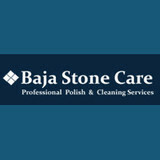 So in 1990 I established Baja Stone Care. To better serve the San Diego vicinity, I have locations in both San Diego, and in Rosarito, Baja Ca. Mexico.” The main types of floors and counter tops that are used by today’s home designers is Natural Stone. With proper care and the use of high quality cleaning products, these surfaces will last indefinitely , and retain their natural beauty. Baja Stone Care uses products formulated to bring the best results without harming the environment, These systems insures a luxurious shine and when a quarterly maintenance program is used your investment will be protected from harm. Let Baja Stone Care protect your investment by maintaining its original beauty and repair any problem. We are experts in cleaning and restoring marble counter tops , marble floor maintenance, cleaning tile and grout, fireplaces, fountains and any other natural stone surfaces. We love to maintain relationships with clients and become more than just a cleaning service. We want to be part of the routine that makes your life better, healthier, and cleaner. Having your floors services once a year insures a beautiful floor for many years to come. Great for resale value too. For more than 15 years Alternative Bathtub Refinishers has provided San Diego with quality, affordable services that has made us one of the best bathtub/shower refinishing service businesses. Our refinishing technicians have a substantial number of years in the industry and I consider them to be true artisans at their chosen craft. You are invited to view our website and see for yourself the professionalism that goes into all of the work we perform. What can I expect from a professional stone cleaner in San Diego, CA? Find a San Diego natural stone cleaner on Houzz. Narrow your search in the Professionals section of the website to local stone cleaners in San Diego, CA and read reviews and ratings to find one that fits your needs.